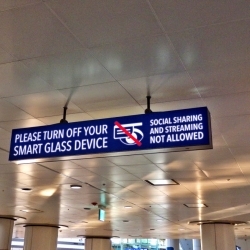 After the Korean ferry accident last year Yuluck, wanted to find a way to make safety manuals more interesting to read. 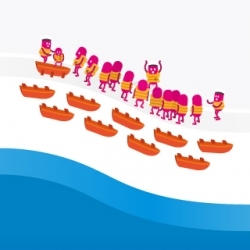 He designed an interactive safety guide for ships. 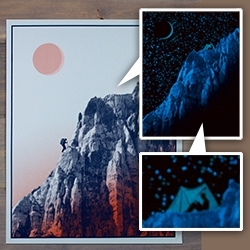 Arsenal Handicraft - "WE NEVER GROW TIRED OF EACH OTHER, THE MOUNTAIN AND I" Glow In The Dark Print. 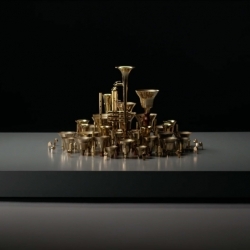 Stunning!!! 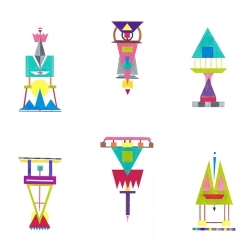 In the dark, the moon has risen, and the climber has set up camp! 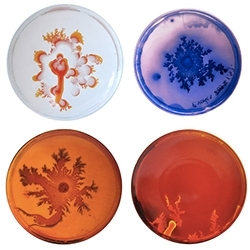 Bernardaud PETRI Dinner Plates designed by Vik Muniz (Brazilian Artist) and Tal Danino (Biological Engineer) - bacterial plates take on a whole new meaning! 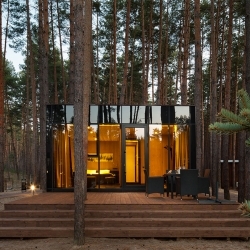 Somewhere between The Black Sea and Russia, you will find Sosnovka’s Relax Park Verholy. 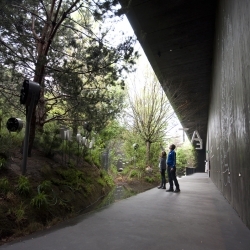 Here, amidst a maze of trunks and needled ground, Studio YOD has crafted guest houses seemingly born from the forest. 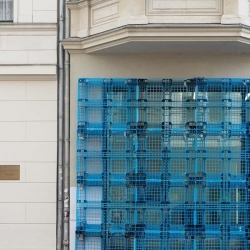 REKONSTRUKTION: ornamental facade constructed from plastic disposable pallets by CANDY LENK and ANNA BORGMAN at the Gallery Aquabit, Berlin. 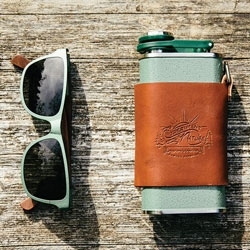 Shwood Eyewear and Stanley teamed up for the perfect summer adventure pack! 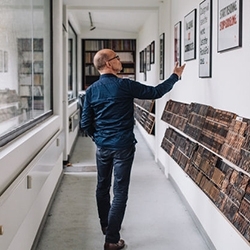 Stanley's iconic hammertone powder coat applied to Shwood titanium frames for rugged yet refined style. 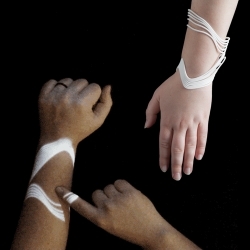 Tactum lets you design 3D printed wearables directly on your body. 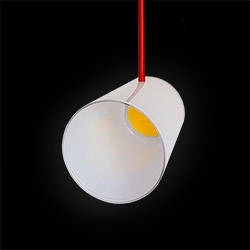 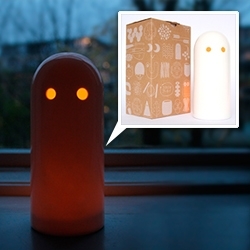 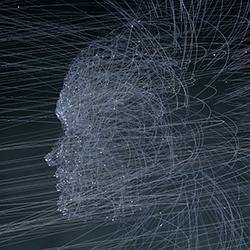 It combines depth sensing with projection mapping, simply touch, poke, rub, or pinch your skin to customize ready-to-print, ready-to-wear forms. 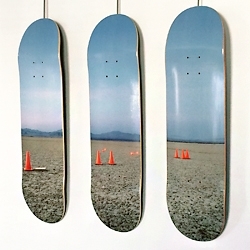 These 'Signs from the Near Future' may be closer than they appear. 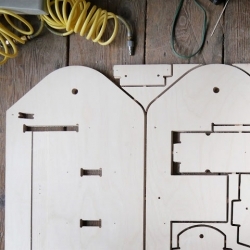 Plyfly Go Karts from Flatworks, flatpacked kits to assemble your own Go Kart. 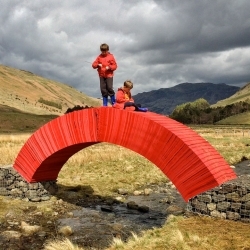 Paperbridge, an installation in the Lake District by Steve Messam is a bridge made from paper. 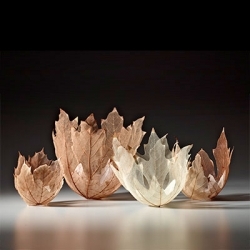 Beautiful leaf bowls by Kay Sekimachi. 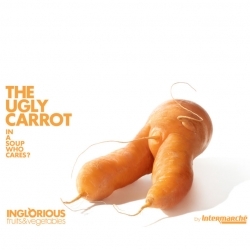 The Inglorious Fruits campaign for Intermarche by Marcel, recent winner of the graphics project category in the 2015 Design of The Year competition. 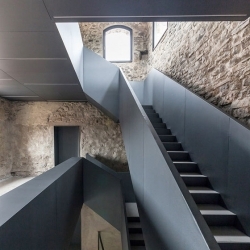 Torre del Borgo, a 12th century tower outside Bergamo, gets a modern makeover from Gianluca Gelmini. 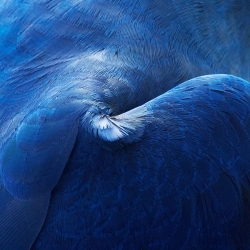 Birds, a series of closeup photos of feathers by Thomas Lohr. 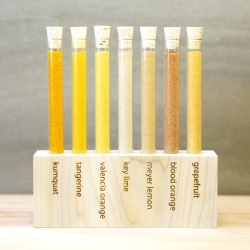 VIDEOBells & Whistles. 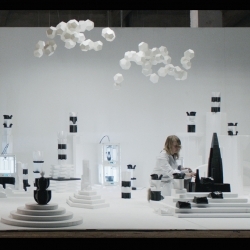 A short film by Lernert & Sander & creative agency ...,staat for Vector Watch. 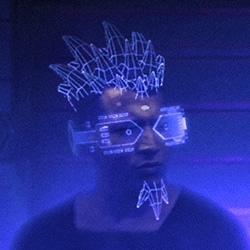 Cybernetic fashion and holographic shisha from Dubai's upcoming cyberpunk sci-fi film DUNEOPOLIS. 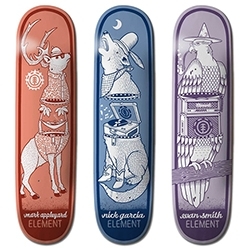 FEATUREDElement x Jeremy Fish Summer Collection - a great collection of zipper creature skate decks and an incredible animated video! 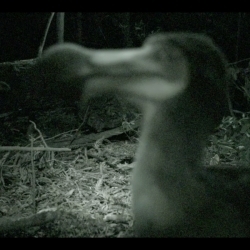 VIDEO"Almost a Dodo" - a digital campaign by NBS for NGO Alternativa Terrazul that aims to attract people's attention to a serious matter - the preservation of endangered species. 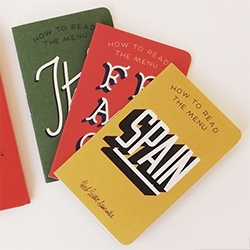 Herb Lester's How To Read The Menu in... Spain, France, and Italy booklets! 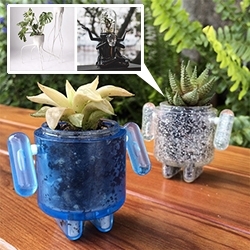 VIDEORefil is launching 3d printer filament (ink) made from old car dashboards with an installation that shows how to make things right. 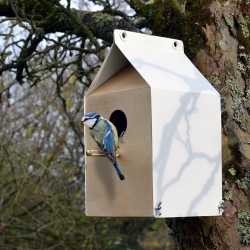 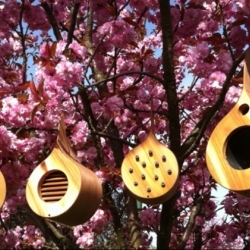 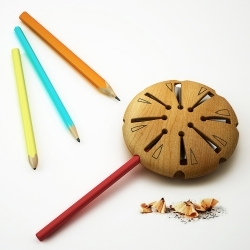 Treedrops - Lovely hanging wooden bird feeders, bee houses, light wells and ladybug huts. 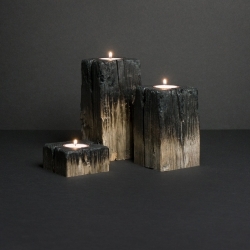 Made from recycled wood. 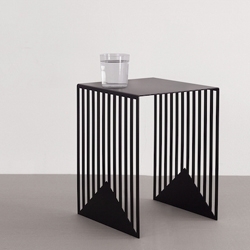 Firewood, candle holders made by Jina Seo and Jung Soo Park, is on display at Sight Unseen's OFFSITE during New York Design Week. 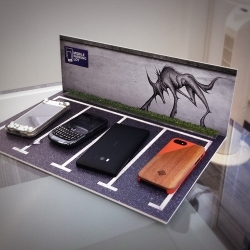 Mobile Parking Lot - Isn’t it a little bit annoying being in a meeting and seeing how some of the people you’re talking with just don’t stop staring at their phone screens? 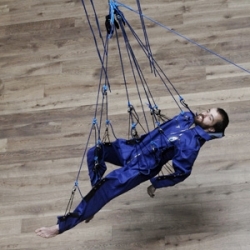 A group of architecture students from AA Visiting School Slovenia has conceived a “levitation-suit” that allows guests to experience 3D sleeping as if they were floating in zero gravity environment. 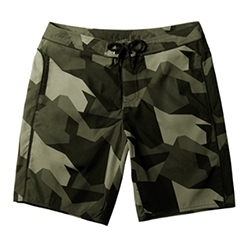 Aether Apparel Camo Swim Trunks - fun geometric camo patterns in great colors. 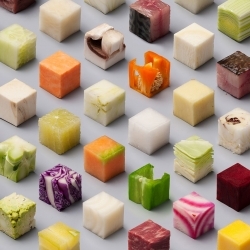 Dutch newspaper De Volkskrant contacted conceptual design studio Lernert & Sander to create a piece for a special documentary photography issue about food: 98 unprocessed foods cut into extremely precise 2.5cm cubes aligned on a staggered grid. 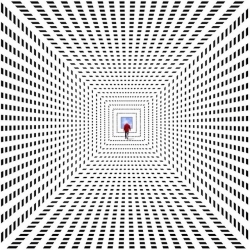 Zen and Minimalist Illustrations by Dhavebaj Anupabsthian. 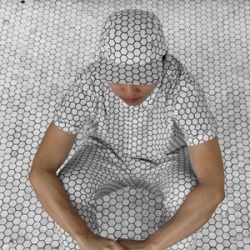 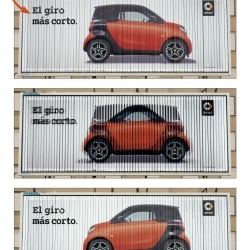 IGP - The Geometric Images of the People are protective images draw by Cécile Mestelan. 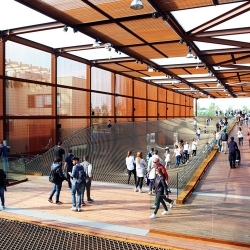 To celebrate and promote clean air quality on the occasion of Expo Milano 2015, the breathe.austria pavilion hides on its inside a 560 square-meter forest that provide a source of oxygen for up to 1,800 people. 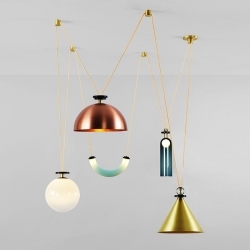 Ladies & Gentlemen Studio debut second edition Shape Up Chandelier at OFFSITE during New York Design Week. 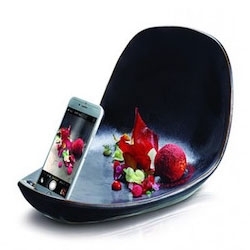 Foodography is an integrated experience in Tel Aviv, built around a meal inspired by Carmel wines, and featuring a special food photography workshop, using each course of the meal to teach diners lessons about the aspects of smartphone food photography. 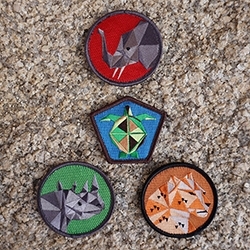 Cub Cubs 'Save The Critters' Badge Pack! 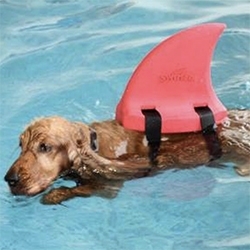 Swimfin - interesting floatation device to help teach kids (and dogs?) 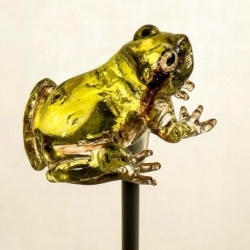 to swim!